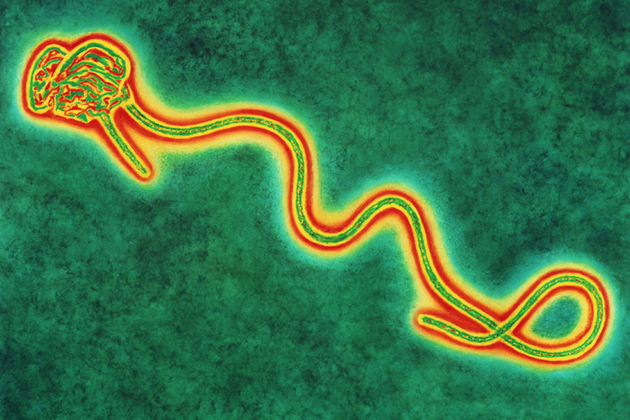 The Scottish Government recently announced that we had a case of Ebola in the UK, in a health worker who travelled to Glasgow from Sierra Leone. In this blog, Public Health England’s Director of Health Protection, Prof Paul Cosford, answers some questions about what this means for the public across the UK. Now we have a case of Ebola in the UK does this mean there is going to be an outbreak? Paul Cosford: The level of risk to the UK public hasn’t changed – it is still very low. It was anticipated that a small number of Ebola cases would be seen in the UK but we have effective systems for managing infectious disease. A vital part of our plans for responding to any UK cases is tracing anyone who had close contact with the patient while they were ill and showing symptoms (as this is when they could be infectious). Those who have had close contact are monitored until given the all clear. The risk in this case is very low but PHE and our counterparts in Scotland will contact passengers on flights into Heathrow and onward to Glasgow to provide information and reassurance. It’s worth underlining that healthcare in the UK is very different to healthcare in West Africa, where we are seeing an ongoing outbreak. In the UK we have the capacity to quickly test anyone suspected to have Ebola, an established public health system and hospitals with high standards of infection control, all of which make an outbreak highly unlikely. What if people were infected by the patient before they were taken to hospital? Paul Cosford: A person with Ebola is not infectious until they start showing symptoms and only poses a significant risk once they begin to vomit or suffer from diarrhoea. Even then, they can’t pass Ebola on to anyone else unless that person comes into direct contact with these body fluids; their vomit, blood or faeces for instance. This is a really important message - simply being in the vicinity of someone with Ebola, for instance on a train or plane, in a shop or office or any public venue for that matter, does not make it likely you will catch Ebola. But this doesn’t mean there is any complacency. Health Protection Scotland and Public Health England have specialist teams across the country who will trace anyone who might have had contact with the patient, for instance if they were on the same flight. If anyone else who was being followed up began to show symptoms they would also be isolated but we believe the risk in this case is very low. Why has the patient been taken to the Royal Free Hospital? Paul Cosford: The Royal Free has specialist high-level isolation unit beds and amongst the best facilities in the world for treating unusual infectious diseases. The NHS has also arranged capacity at other units across the country in case they are needed. What if healthcare workers treating the patient get sick and then infect members of the public? Paul Cosford: We are confident we have the right protocols in place to protect NHS staff and we are constantly looking to see if we can improve them based on lessons learned elsewhere. It is not possible to catch Ebola from someone unless they are sick and showing symptoms and any healthcare worker treating an Ebola patient would immediately report their own symptoms if they did experience any. Does this case mean that airport screening has failed? Paul Cosford: No system of entry checks could claim to offer total protection. Most importantly, the screening process helps us ensure individuals arriving from high-risk areas know what to do if they start feeling ill, and can receive expert advice immediately. If a traveller from an affected West African country does start to feel unwell, they should stay at home and dial NHS111 or 999. Screening is just one part of the protection the UK has in place. Public Health England will continue to consider other appropriate additional measures. Should we now ban travel into the UK from affected countries? Paul Cosford: The best way to protect the UK is to work as hard as we can to end the outbreak in West Africa. If the international community blocks travel to and from these areas it could disrupt the efforts to fight this outbreak, encourage people from the affected countries to travel from alternative locations and potentially make the outbreak worse. Nevertheless, all matters relating to international travel are kept under review by the UK Government. Should UK residents take extra precautions now that we have a case of Ebola? Paul Cosford: A case of Ebola in the UK is a big media story, but the overall level of risk to the UK hasn’t changed. There is minimal risk of Ebola spreading amongst the population because this patient, and any future patient, will be treated in isolation. Unless you come into direct contact with the body fluids of someone who is sick with Ebola, you can’t catch it. There is minimal risk of Ebola spreading amongst the population because this patient, and any future patient, will be treated in isolation. I live in the area of the UK where the Ebola patient is reported as coming from – am I at extra risk? Paul Cosford: We ensure that someone with Ebola doesn’t put others at risk by treating them in isolation and carefully investigating who they had close contact with. This includes finding out whether the patient travelled or visited anywhere while they were sick and showing symptoms. If any special cleaning and disinfection measures were needed in a public place, these would be taken. How does Ebola spread – I’m concerned I could catch it from something I touch such as a handrail on a bus, a door handle or equipment in a gym? This means that someone who isn’t yet sick can’t pass it on. At the early stages of illness when a patient actually begins to feel ill (fever, sore throat) the risk is still low. Body fluids can potentially spread the virus but these become a risk at later stages of disease when a patient is feeling very ill.
Ebola patients are most infectious when they are very sick, vomiting and suffering from diarrhoea. At this stage they are likely to be too sick to be out in public. What we’re seeing in West Africa is Ebola being passed to family members or health staff caring for very sick people and coming into direct contact with their blood, diarrhoea or vomit without following strict personal protective equipment protocols. This is why health professionals must wear full protective equipment, as they are in close contact with these body fluids. Paul Cosford: Unless you’ve come into contact with the body fluids of an infected person, there is very little chance of you being affected. If you’ve been to Guinea, Liberia or Sierra Leone in the last 21 days, and become unwell with symptoms such as fever, chills, muscle aches, vomiting, diarrhoea or sore throat you should stay at home and dial NHS 111 or 999 and explain you have recently been to West Africa. Don’t forget that there are many other illnesses with similar symptoms – such as malaria – which are much more common in returning travellers. Why on earth are medical staff and People connected with Ebola not but in isolation at least for the gestation period before leaving, this could be disruptive but at least it would work !!!!!! A really excellent an informative blog that reassures me of the actions being taken by Public Health England. It is good to repeat and remain consistent with the previous and present messages too. As stated in this blog, a case of Ebola in the UK is a big media story, but the overall level of risk to the UK hasn’t changed. You are right to also highlight that the measures in place are always under review, and no system of entry checks could claim to offer total protection. Most importantly, the screening process helps us ensure individuals arriving from high-risk areas know what to do if they start feeling ill, and can receive expert advice immediately. I am assured and confident through that you, the team and the leadership of Duncan Selbie in our work, at home and abroad, on E Bola.